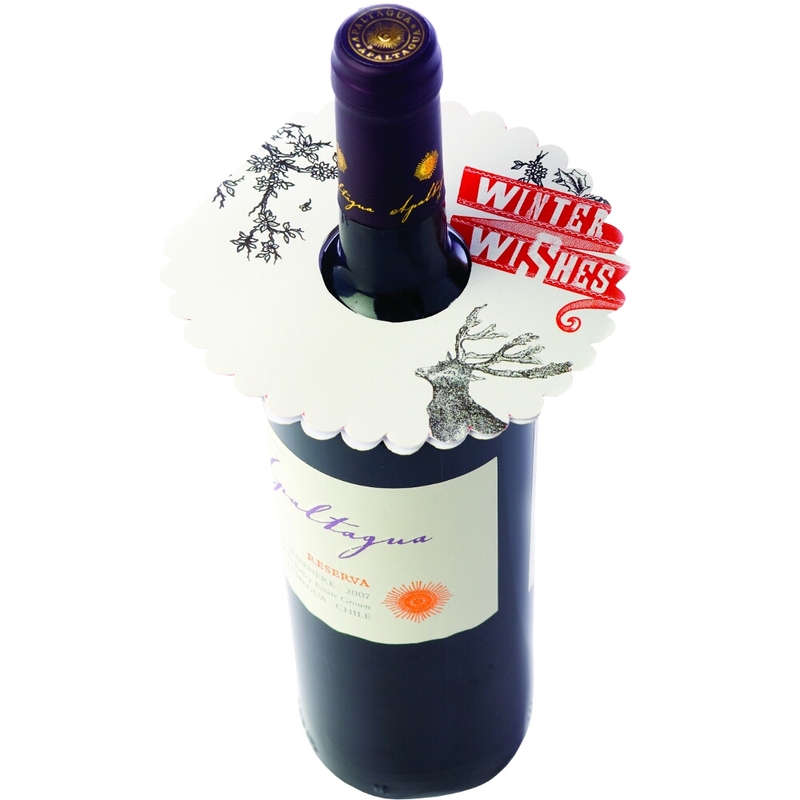 Give the gift of wine this winter, with this festive gift tag from True Fabrications. Fabricated from white paper, it is circular with a hole in the center that allows it to be placed around the neck of a wine bottle. Featuring an elegant scalloped edge, the gift tag features a deer, some holly branches, and the message "Winter Wishes" on the front. When it's removed from the wine bottle it can be opened to reveal the interior message "To you and yours". Made in the USA, this gift tag is the perfect way to dress up a gift for the wine lovers in your life.